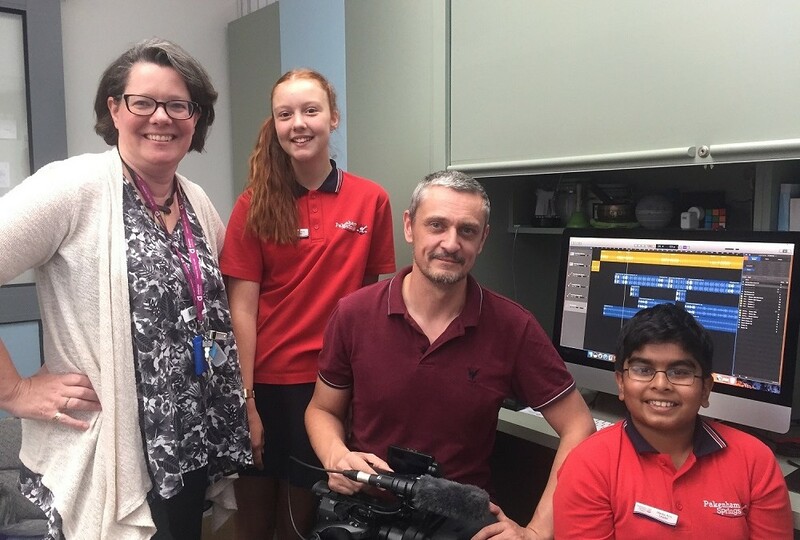 Mrs Esther Priestley and Mr Teague Rook with Media Arts student leaders, Lathea and Tareen. Pakenham Springs PS has a new Media Arts program this year. Students will focus on communicating their ideas in a variety of ways, through technologies such as video production, still photography, radio podcast and music as well as film analysis. Students will learn a wide variety of skills in using digital technology, as well as many different roles required as members of a production team. As the program develops and equipment is updated over the next few years we hope to establish a student operated tv-in school-station. Teachers Teague Rook and Esther Priestley are excited about the possibilities and opportunities this program will offer the students and look forward to seeing the program develop and grow.